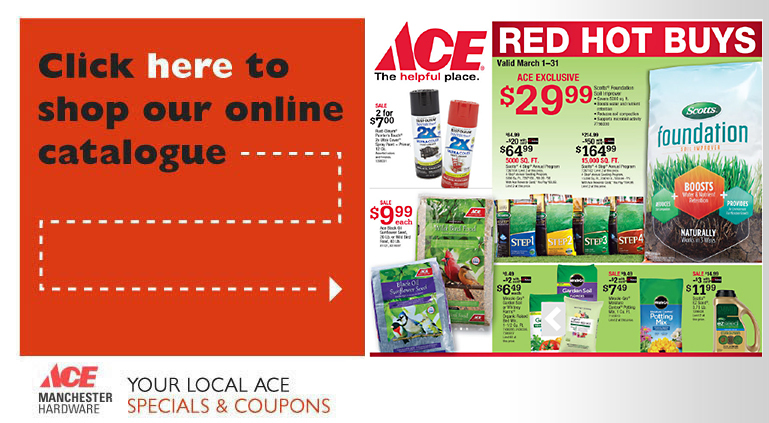 The Ace Rental Place program is just another convenient reason to shop Manchester Ace Hardware. We provide equipment rentals to offer the ultimate in customer convenience. Our store offers a complete selection of quality rental items that are well maintained with expert customer service. We offer a wide variety of equipment for rent on an hourly, daily, weekly and even, monthly basis. We offer everything from aerators, lawn combers, tillers and post hole diggers, to drain cleaners, floor sanders, breakers hammers and more. For a complete list of all our Rentals, Large Equipment Rentals and availability give us a call.